Cancer treatments based on laser irridation of tiny nanoparticles that are injected directly into the cancer tumor are working and can destroy the cancer from within. Researchers from the Niels Bohr Institute and the Faculty of Health Sciences at the University of Copenhagen have developed a method that kills cancer cells using nanoparticles and lasers. The treatment has been tested on mice and it has been demonstrated that the cancer tumors are considerably damaged. The results are published in the scientific journal, Scientific Reports. Traditional cancer treatments like radiation and chemotherapy have major side affects, because they not only affect the cancer tumors, but also the healthy parts of the body. A large interdisciplinary research project between physicists at the Niels Bohr Institute and doctors and human biologists at the Panum Institute and Rigshospitalet has developed a new treatment that only affects cancer tumors locally and therefore is much more gentle on the body. The project is called Laser Activated Nanoparticles for Tumor Elimination (LANTERN). The head of the project is Professor Lene Oddershede, a biophysicist and head of the research group Optical Tweezers at the Niels Bohr Institute at the University of Copenhagen in collaboration with Professor Andreas Kjær, head of the Cluster for Molecular Imaging, Panum Institute. After experimenting with biological membranes, the researchers have now tested the method on living mice. In the experiments, the mice are given cancer tumors of laboratory cultured human cancer cells. “The treatment involves injecting tiny nanoparticles directly into the cancer. Then you heat up the nanoparticles from outside using lasers. There is a strong interaction between the nanoparticles and the laser light, which causes the particles to heat up. What then happens is that the heated particles damage or kill the cancer cells,” explains Lene Oddershede. The small nanoparticles are between 80 and 150 nanometers in diameter (a nanometer is a millionth of a millimeter). The tested particles consist of either solid gold or a shell structure consisting of a glass core with a thin shell of gold around it. Some of the experiments aimed to find out which particles are most effective in reducing tumors. 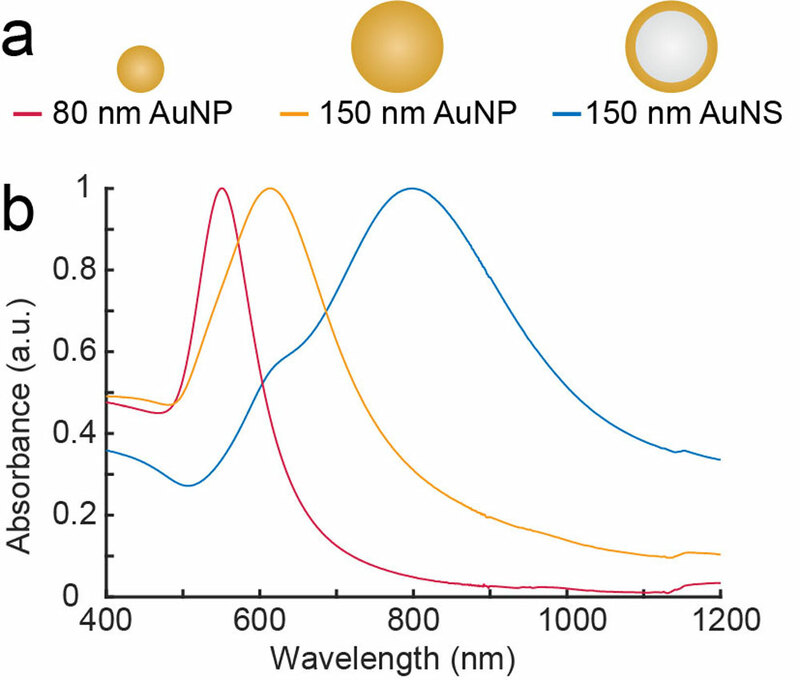 “As physicists we have great expertise in the interaction between light and nanoparticles and we can very accurately measure the temperature of the heated nanoparticles. The effectiveness depends on the right combination between the structure and material of the particles, their physical size and the wavelength of the light,” explains Lene Oddershede. The experiments showed that the researchers got the best results with nanoparticles that were 150 nanometers in size and consisted of a core of glass coated with gold. The nanoparticles were illuminated with near-infrared laser light, which is the best at penetrating through the tissue. In contrast to conventional radiation therapy, the near-infrared laser light causes no burn damage to the tissue that it passes through. Just an hour after the treatment, they could already directly see with PET scans that the cancer cells had been killed and the effect continued for at least two days after the treatment. “Now we have proven that the method works. In the longer term, we would like the method to work by injecting the nanoparticles into the bloodstream, where they end up in the tumors that may have metastasized. With the PET scans we can see where the tumors are and irridate them with lasers, while also effectively assessing how well the treatment has worked shortly after the irradiation. In addition, we will coat the particles with chemotherapy, which is released by the heat and which will also help kill the cancer cells,” explains Lene Oddershede.